Listening to Black Bastards and Operation Doomsday back to back, the contrast in sounds and moods is so stark, it's almost hard to believe they're born of the same mind. Almost. 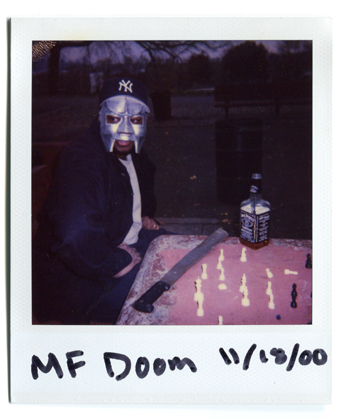 I've found that the more you listen to Daniel Dumile's late Zev Love X recordings and early MF DOOM tracks, the more similarities you uncover. Tragedy turned Love to DOOM, no doubt, but in retrospect, certain lines from either persona seem to indicate that the transition between the two was more seamless than history would have us believe. British DJ Tape Deck King (TDK) shows just how fluid the transformation really is in a musical sense, by compiling a mix of late-Love and early-Doom recordings, including some very dope demos and 12" versions of songs that later ended up on Operation Doomsday. For greater context, listen while reading the pieces linked below.